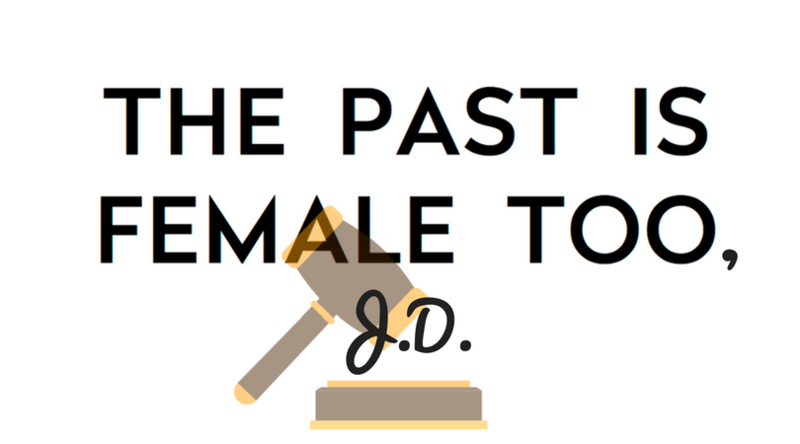 The Past is Female Too, J.D. Here at Sistory we hold this truth to be self-evident: The Future Is Female. We also hold this truth to be less evident yet equally true: The Past Is Female Too. Each week, we’ll introduce you to 5 women from the past who changed the world and never got their due until now. Ideally, they’ll all get statues one day, but for now, we hope you’ll consider honoring them with, well, yeah, a t-shirt. (Order here). In the United States, female attorneys have been taking business to court since at least 1648, even though the first woman to graduate law school did not do so until 1870 (because women were not allowed in). Thank goodness for them, too, because the courts have often been the only place to change policies and practices affecting our lives, employment and equality of opportunity. You’ve likely benefited from the work these ladies did; now, let’s get to know their names. 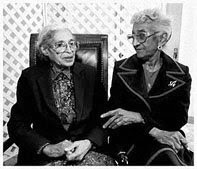 Mahala Ashley Dickerson (1912 – 2007) was born on a plantation in Alabama and was lifelong besties with Rosa Parks. After graduating from Howard University School of Law in 1936, she passed the bar and practiced law in Alabama, then passed the bar and practiced law in Indiana, then divorced two husbands (in an era when it was difficult to pursue divorce as a woman) and up-and-moved herself and her two sons to Wasilla, Alaska where she homesteaded 160 acres – oh, and passed the bar and practiced law. She became the first black president of the National Association of Women Lawyers and won an important case on equal pay for female professors at the University of Alaska. She practiced law until she was 91 years old. Soon after getting married at 18, Belva Lockwood (1830 – 1917) became a widow and a single mother. She sold her husband’s land to get a degree at what is now Syracuse University, moved to DC, remarried and finished her law degree. But as a woman, she was not allowed to practice law without first getting special permission from the federal government. Lockwood had been through enough, so she petitioned Congress to change that asinine law, and in 1879 she won, allowing female lawyers the right to plead any cases before the U.S. Court of Claims. Oh, and she ran for president in 1884 and 1888. Native American women were essential to legal battles for native rights as they came under threat by the U.S. government in the 19th century. While some women, like the Conley sisters, were fighting the local fight, Marie Louise Bottineau Baldwin (1863-1952) went to Washington. She was the first Native American student to graduate from the Washington College of Law and was appointed to the United States Bureau of Indian Affairs by President Theodore Roosevelt. Although she had lived in D.C. for years and had been photographed in modern clothing, she wore a traditional beaded Native dress, long braids and a quilt in her official staff photo for the federal record – a small but clear act of resistance. Chiyoko Sakamato (1912-1994) passed the California bar at the age of 27, after four years of studying law during the night and working as a secretary during the day, and became the first Japanese-American female lawyer in California. But World War II interrupted her plans to practice law; she was imprisoned in an internment camp, which not only immediately removed her from the workforce but continued to affect her chances for employment even after being released in 1947. Eventually, she landed at a Los Angeles firm and went on to found the Japanese-American Bar Association and the California Women’s Bar Association. Constance Baker Motley (1921 – 2005) was the daughter of working-class immigrants and the ninth of twelve children. After getting her law degree from Columbia, she volunteered at the NAACP until they hired her at $50 a week to work under Thurgood Marshall. Marshall put her on tough cases, sending her into the tense, violent South to argue for civil rights with her measured confidence and deft knowledge of the law. She went to Mississippi 22 times before winning the case that would allow James Meredith to attend Ole Miss. She was the first black female federal judge, appointed by Lyndon B. Johnson, and the first woman to be Manhattan borough president. She was the first black woman to argue before the Supreme Court, and won 9 of her 10 cases at that level. You may have heard of one of the cases she worked on – a little number called Brown v. Board. >> Ready to tell the world THE PAST IS FEMALE TOO? Get the shirt. >> Read more about how THE PAST IS FEMALE TOO.